We use donations to purchase prescription glasses, reading glasses, and sunglasses. Although we utilize refurbished prescription glasses when needed, our goal is to distribute glasses that are new and of good quality whenever possible. Through partnerships with our suppliers, we’ve been able to keep the average cost of new glasses at approximately $3.00/pair. Just think…on average, your one-time gift of $30.00 can provide glasses to 10 individuals. Or better yet, your recurring gift of just $30.00 per month can provide glasses to 120 individuals per year! SMI must cover short-term mission team expenses. We provide a Trip Leader for each trip to help coordinate travel needs and oversee eye clinic operations. The average cost to SMI for each trip is around $2,200. And although some of these expenses are covered by trip overhead charges, your donations help keep costs lower for short-term mission teams, allowing more individuals to participate. Donations are also used to purchase equipment and supplies to support eye clinic operations. 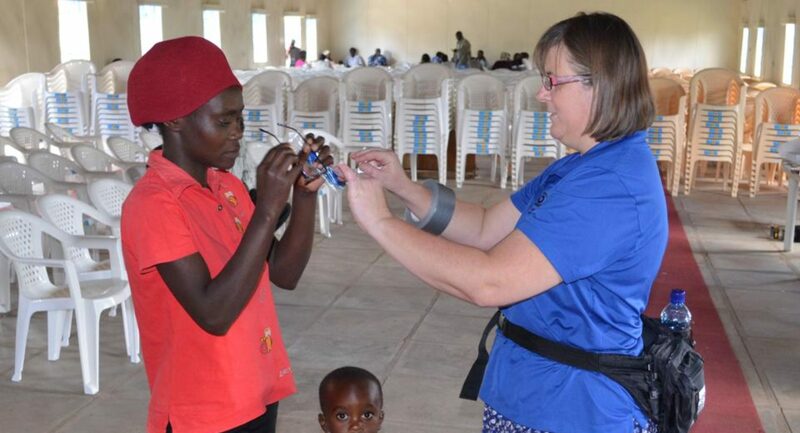 Preparing for and running a quality eye clinic requires special equipment. For example, lensometers are used to read and log prescriptions for refurbished glasses and autorefractors are used to accurately determine prescription requirements for clinic patients. We also require IT resources for inventory and data management. Although we utilize used or refurbished equipment when available, these instruments are relatively expensive and we periodically need to add more equipment as our ministry grows.